Ford learned this lesson early in his career. When he began work on his first automobile, he worked many long but exciting hours in a little brick building behind his home. Such enthusiasm overtook him that he found it hard to take time out to eat or sleep. Before he had completed his first car, however, he became acutely aware that he could build an even better car. He was so sure of the need for improvements that the thrill and enthusiasm for his car began to lessen. Why spend all that time finishing a car that he already knew was inferior? Still, something inside him forced him to continue – to focus his total energy on the first car and finish what he had started – before he allowed himself to fantasize about a second car. As it turned out, Ford said he learned even more about to improve the second car by finishing every detail of his original car. 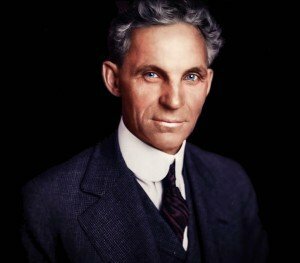 If he had given in to the temptation to quit building the first car, he may never have made any car at all. Many people strive to be perfectionists, but the completionists usually accomplished more in life.